The biggest bonus to dwellers of pink City is the now famous Hotel Aroma Classic, offering you all the fun filled and relaxing facilities of a world class Hotel. 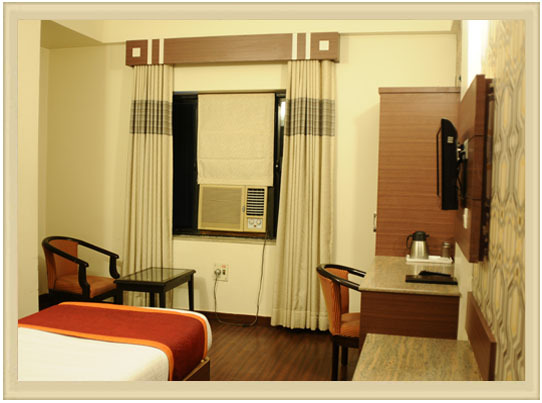 Lavishly Furnished Air Conditioned Rooms. Adjoining Baths With Running Hot & Cold Water. Telephone with direct dialing facility from the room. Colour T.V. with Cable Connection. Package System for Marriage Parties. 80 Capacity of Hall for Kitty Parties & Birthday Parties. Veg. & Non Veg. Food served in our multi cuisine restaurant. The rooms are perfectly appointed, with multi-channel TV, Marble Flooring in Deluxe Rooms & Wooded Flooring in Executive Rooms & Royal Suits. There are 25 Rooms spread over the property. The service is unquestionably superb and there is a warm and personal touch which makes all the difference. Our Multi Cuisine Restaurant offers spouse or friend or a business luncheon or dinner. Enjoy the food prepared for you by our traditional cooks. Room service is efficiently assured. Our Bar the Perfect Place to Booze, Relax with Variety of Liquor or Beers. Our Banquets offers Banquets/Corporate Meetings for 80-100 People.